According to the Truck Safety Coalition, the legislators are attempting to preempt state labor laws that mandate additional meal and rest breaks beyond those that are required under federal law. While the law would apply to interstate drivers who drive into the state, some experts are also concerned that drivers who only drive within the state but who work for interstate trucking companies may fall into a legal loophole. They believe that their companies would likely pressure the drivers to only take the minimally required breaks under federal law instead of following the state’s requirements. The provision was introduced by two California Republicans, including Rep. David Valadao and Rep. Jeff Denham. Denham has received more than $60,000 in contributions to his campaigns from trucking organizations. In California, 15,000 large truck crashes happened in 2016. The California Highway Patrol reports that 8,989 of those collisions happened in Los Angeles. Nationally, the Federal Motor Carrier Safety Administration reports that 87,000 injury crashes happened in 2015, and 4,311 trucks and buses were involved in fatal accidents. The FMCSA reports that 55 fatal truck accidents in 2015 were caused by drowsy or fatigued truck drivers and another 71 were caused by driver inattention with unknown causes. If the proposed law passes in the House and Senate and is signed into law by Trump, many truck drivers may not have to take the rest breaks that they currently have to take. Truck drivers drive for exhaustingly long shifts, and not being able to pull off of the road more frequently may lead them to become exhausted. In Dec. 2016, the AAA Foundation for Traffic Safety found that the crash risk for drivers spikes for every hour of sleep that they lose. Truck drivers who do not get sufficient sleep and who are also not able to take enough rest breaks may have greatly increased risks. For all drivers, AAA found that the risk of accidents doubles for people who get between five and six hours of sleep each night. When they only get four to five hours of sleep, their risks are four times higher of crash involvement than people who are more rested. Truck drivers report that they are under tremendous pressure by their companies to get their loads delivered on time, according to ABC News. When drivers are pressured to make their deliveries under tight deadlines, they may end up driving while they are fatigued. This pressure may compound the potential problems of having fewer rest breaks under the proposed federal law. If that law passes, it is likely that all interstate companies will force their workers to only follow the federal rules rather than pulling off the road more frequently or whenever they feel tired. Drowsy driving can have serious or even fatal consequences for drivers and those who are traveling on the roads around them. Enacting federal legislation to preempt California’s meal and rest break requirements could lead to many more injuries and deaths in the state each year. Californians may want to lobby their representatives and senators about this provision in order to protect the general safety of everyone in the state. 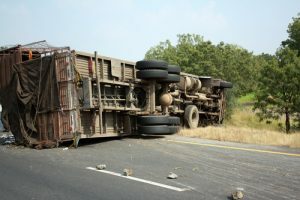 If you have been seriously injured in a truck accident that was caused by a drowsy or fatigued driver, you may want to consult with an experienced truck accident attorney in Los Angeles. A lawyer may file a personal injury lawsuit on your behalf in order to hold the driver and his or her trucking carrier liable for your losses. This may help you to receive fair compensation for both your noneconomic and economic losses. Contact a personal injury lawyer today to learn about your potential claims.